It was a punishing night for the Invicta Dynamos on Sunday night as the 14 man side were dispatched 13-1 by the Peterborough Phantoms on the road in the NIHL South Division 1. Although Head Coach Kevin Parrish was able to bring back import forward Edmund Piacka and netminder Conor Morris from illness and injury he still had to make-do without four players including Ondrej Zosiak, Arran Strawson, Harrison Lillis and Owen Dell. Adam Long started in the Dynamos net and was kept busy early into the game, particularly when the Mos had to kill a Piacka penalty for hooking on 02:16. The away side were successful in returning to full strength and rode their luck when the Phantoms hit the post in the fourth minute. Then, on 05:02, Matt Foord was caught slashing and the Dynamos were again defending a powerplay but on this occasion they fell 1-0 behind on 06:38 – Tom Norton smashing the puck home from the blue line assisted by Ales Padelek and Glenn Billing. A second goal followed on 09:48 – Harry Ferguson sweeping ahead of his marker to beat Long with Corey McEwan and Petr Stepanek playing roles in the build-up. Robert Ferrara gave the Mos their first powerplay on 15:59 for holding and Brandon Miles had the best opportunity within those two minutes when he beat netminder Marr in a race for the puck but his poke sailed just wide. The 19th minute was a nightmare for the Dynamos – firstly Andy Munroe was sent to the penalty box on a 2+10 minute charge for boarding, with the Phantoms James Ferrara also sitting for 2 minutes for roughing, before 36 seconds later disaster struck for the visitors with their coach Kevin Parrish ejected from the bench on a game penalty for abuse of the official Richard Belfitt. The Mos only registered two shots on goal in the period, with the Phantoms firing 16 on Adam Long. 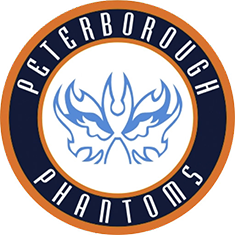 20 seconds into the second period was enough for the Phantoms to go 3-0 up on the powerplay – Petr Stepanek scoring unassisted. A fourth Phantoms goal was stuck on 28:16 with Stepanek again on the scoresheet – Harry Ferguson with the crucial pass. It only took a further two minutes for the home side to add goal number five with Nathan Long, brother of Dynamos’ netminder Adam, striking into the net assisted by James Ferrara and Glenn Billing. With the scoreline comfortable for the hosts they switched netminder with Ryan Bainborough stepping into the action. Dynamos import Edmund Piacka sat his second spell in the penalty box in the 31st minute for roughing and the Phantoms made the visitors pay with a powerplay goal on 32:16 through James Ferrara with Nathan Pollard and Glenn Billing creating the opening for the strike. In the 34th minute the Mos had a powerplay of their own, with Will Wildon sitting two minutes on a roughing penalty, but despite plenty of pressure by the Kent side the hosts were defending well even when James White joined his teammate in the box to make it 5-on-3. As soon as the Phantoms returned to four skaters they scored on the shorthand from James Ferrara for 7-0 on 37:05. Things failed to improve in the third period for the Dynamos with the away fans having to sit through a further six Phantoms goals with Nathan Pollard grabbing goal 8 on 41:35. That was enough for the visitors to change netminder and Conor Morris was thrown into the action. Edmund Piacka scored a consolation goal for 8-1 on 45:09 assisted by Martins Susters but the damage was already done. Goals by James White (9-1 on 47:59), Will Weldon (10-1 on 51:58), Glenn Billing (11-1 on 53:47 and 12-1 on 56:26) and Corey McEwan for 13-1 added to the Mos’ woes. To round-off a disappointing night and one to forget for the Dynamos, netminder Morris was then ejected from the tie on a 10+ game penalty for abuse of the official on 57:36.